May was extremely warm as the previous month, so the average monthly temperature was by 2 °C higher than the long-term average. The maximum daily temperature exceeded 20°C and 14 times it was higher than 25°C. By the end of May four times it came near to 30°C and once it even exceeded this value. Time of sunshining was significantly longer and exceeded the long-term average by 62 hours. The character of weather accelerated the growth and development of hops, which is now advanced by 14 days compared to the normal situation. The habitus of hops in average is 3,5-4,0 m high. 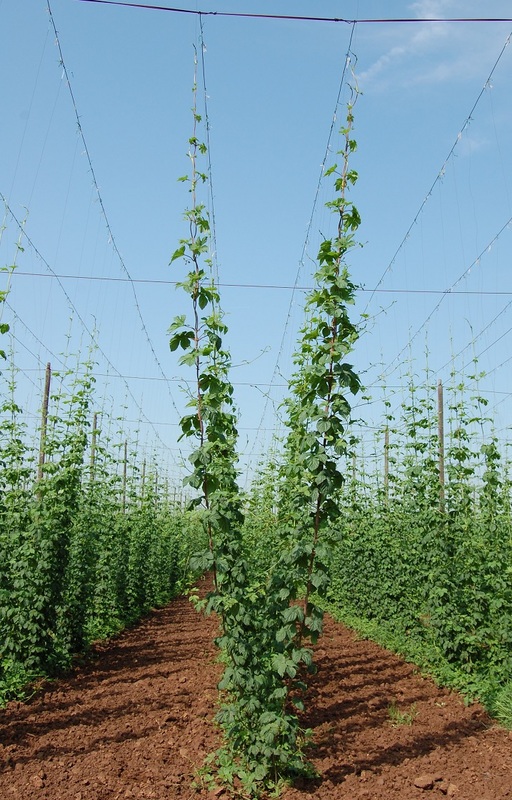 The first introduced hop plants already reached the top of the trellis, which is typical for the end of June. In the second half of May there were 5 days rich for the rainfalls and the total amount of precipitation reached 75,8 mm. This helped to decrease the moisture deficit of April. The health condition of hops is good for the time being.